To be successful, your website needs, among other things, search engine optimization (SEO) to make your website visible to search engines and great content to keep visitors interested and coming back. Since only 5% of Google searchers ever go to page 2 of the search engine results, your site must be on page 1 for a keyword term to be visible to most people. Once you get visitors on your website, the content must cater to them and connect with them both emotionally and logically. It must guide them to take some desired action, such as a purchase, download, e-newsletter sign up, or contact. Our St. Louis SEO & Copywriting service can increase your site's visibility and bring you more customers. Writing effective content, or copy, for a website is very different from being an author of other forms of writing. Website copy has its own guidelines, and the copywriter must know sales and marketing techniques to make your site successful. Unlike most Web designers and developers, our copywriters have training in the latest marketing techniques to convert your visitors into customers. Our methods are scientifically proven to make the most effective website for you. You can give us your content, and we will format it for you. Or we can research and write it for you for an extra fee. Google often makes small changes to the way it searches for information to give searchers the most relevant information. And every so often, it makes major updates to its search engine, which can change how SEO should be done on a website. Google wants to give its searchers to have a great experience by looking for websites that use ethical search engine optimization techniques and highly relevant, top-quality content. Over time, old website content gets a lower ranking in Google, so it is important to keep your website fresh with great focused content, using keyword research. 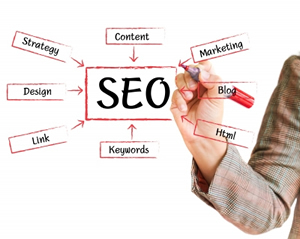 See how our St. Louis SEO & Copywriting service can make your site successful.